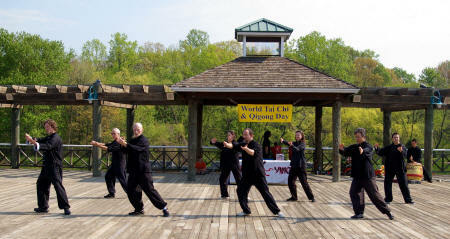 Saturday, April 25, 2009 is the date of the 11th annual World Tai Chi & Qigong Day. 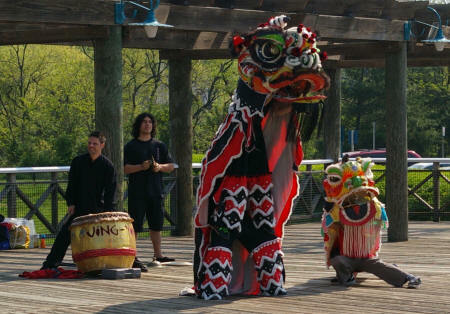 This year, the Jing Ying Institute in conjunction with the International Students Association of Anne Arundel Communtiy College has arranged for free workshops and demonstrations at the amphitheater of the West Campus (map). Located between the CADE and CALT buildings, the amphitheater provides outdoor seating as well as a center court for demonstrations and workshops. 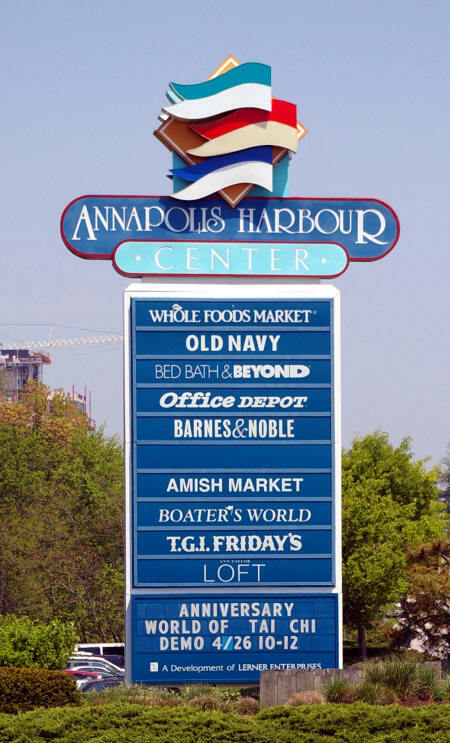 The West Campus of Anne Arundel Community College is conveniently located off Ritchie Highway on West Campus Drive near the Big Vanilla. 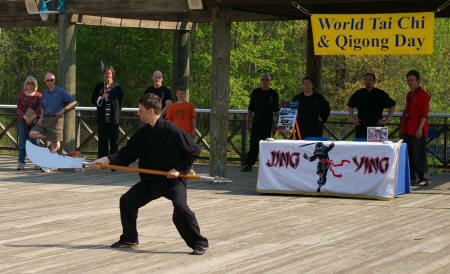 Following the opening ceremonies and demonstrations, we will offer free mini-workshops on several topics including Taiji and Qigong from 10:30 to noon. 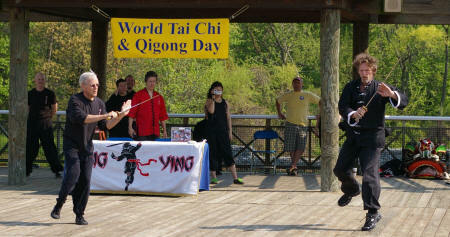 World Tai Chi & Qigong Day will be celebrated in every time zone in the world! Starting at 10:00 am in the first time zone and moving in a wave around the earth as 10:00 am reaches each new time zone, groups will gather together to practice Tai Chi and Qigong. Come out and be part of this international event! Please note: In case of rain, events will move to Jing Ying Institute in Arnold.. 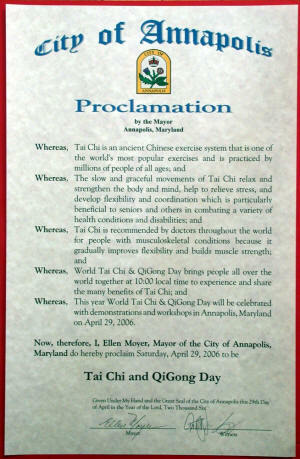 Governor Ehrlich recognized World Tai Chi & Qigong Day in Maryland with an official proclamation! 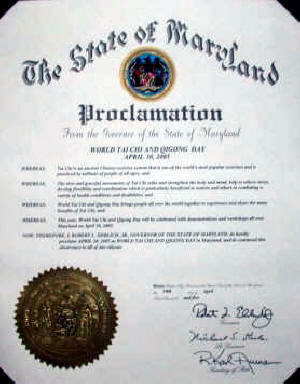 and so did Mayor Moyer of Annapolis!